WARNING: This article includes imagery that may be disturbing for some readers. AN award-winning bullfighter has been gored to death live in front of hundreds of terrified spectators - the first matador fatality in Spain this century. Segovia bullfighter Víctor Barrio, 29, suffered a mortal blow during a tournament in the town of Teruel in Aragon, Eastern Spain. 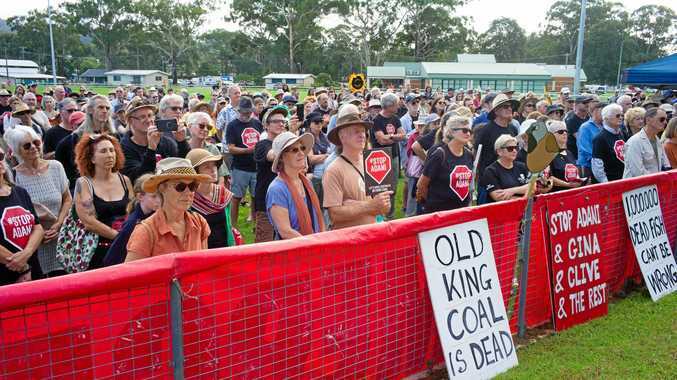 The performer was rushed to hospital unconscious but doctors were unable to save his life. He had rolled to the ground in a painful somersault after the bull caught him while he tried to attract the animal with a 'muletazo' manoeuvre, reports La Razon.es. 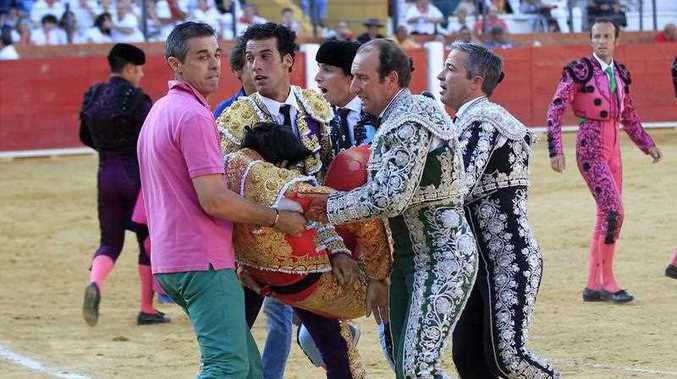 The bull caught him in the side, rammed him to the ground and gored him the chest. The Maños bull, named Lorenzo, had reportedly been struggling but caught the showman off guard. 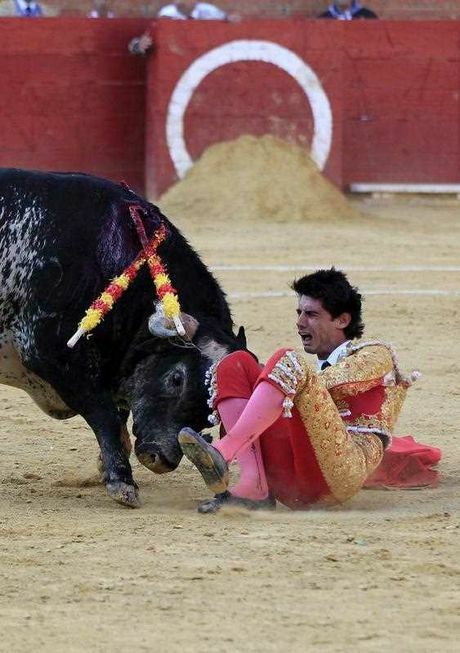 The matador met his match at the fesitval called Feria del Ángel, reports El Mundo. The horrific goring was shown live on TV, and shocked viewers have uploaded footage of the scene on social media. Although deaths from Spain's famous bull runs are relatively common, with up to around 10 deaths recorded each year, worldwide the last matador death was in 1987. In that incident Jose Eslava Caceres was trapped against the boards and his lungs were pierced. He had a string of other awards after joining the sport relatively late after working on a golf course. While the matador nearly always survives during shows, the bull dies practically every time expect after exceptional performances where the animal's life is spared.